If you and the family just can’t wait to get away from it all, head to the coast this summer. No holiday is complete without a trip to the beach and whatever the weather you’re guaranteed to find something to do there. On the parks, you’re getting much more than a place to stay nowadays. The water activities alone are hard to keep up with – never mind the stuff for grownups like spas, golf courses and live entertainment lounges. You can glide, jet or even walk across the heated pools using the fun stuff on these parks. The Aqua Gliders are pretty much mini jet skis and great for the kids. The ‘Water Walkerz’ are like giant hamster balls, once the kids are inside and floating on the surface, they just never stop giggling – it’s like a magic spell. The most impressive thing at these parks has to be the coaching lessons. Yes, it’s all well and good to have a variety pack of aqua coolness for the little ones…but it’s amazing to see those who are still a bit water-shy to have fun in the pools and not feel left out. The Water Confidence sessions are free and are all about the fun side of swimming – the tutors show everybody how to splash, float and play in the water. Every single Haven park is a stone’s throw away from the sea – literally. Mums can always get a bit of peace before tea time when dad takes the kid’s to the shore and skims stones into the waves. If you get a bit of sunshine during the day, there’s nothing better than setting up on the beach. With a paperback in one hand and an ice cream in the other, you can truly relax. If that’s not enough for you, then some of the on-park spa complexes might do the trick. If you’re not afraid of trying something new, you really need to book a hot stones massage or even a chocolate facial. 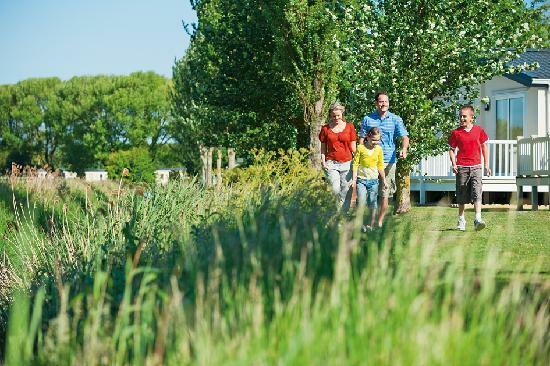 Not all the parks have spa centres, so really take your time and check out the good stuff before booking your June holidays with Haven on the British shoreline this summer.